For over 25 years, APG has been designing and delivering cash drawers and related products used in a variety of retail environments including fast food, hospitality, gasoline service stations, grocery, convenience stores, postal, and concessions. A broad range of heavy duty, standard duty, and customized cash drawer solutions is offered with a variety of sizing, color and interface options. Integration products are also available to organize the POS installation into a clean, integrated workstation, along with a variety of accessories to complement your cash drawer. BIXOLON is a global manufacturer of world-class printing solutions. BIXOLON designs, develops, manufactures and markets printer mechanisms and components for different applications and applications such as POS (Point of Sale), CAT (Card Authorization Terminal) and EFT (Electronic Fund Transfer) systems. BIXOLON has served these markets for more than a decade by providing high quality products that are widely recognized in the marketplace today. BIXOLON products have set higher standards for performance, reliability and customer value. Our families of printers include thermal, impact, inkjet mini-printers, mobile and printing mechanisms and customer visual displays, all with multiple options for interfaces. 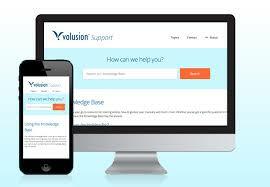 BIXOLON a better solution for your business. Cherry is a global leader in the design, development, and manufacture of computer keyboards. Since its foundation in 1953, Cherry has built a solid company with continued growth through the delivery of world-class products, quality service, total customer satisfaction, and a safe and healthy environment for our employees and our global community. Citizen Systems engineers receipt printers, POS printers and barcode label printers that make business easier for a world hard at work. Citizenâ€™s high-quality, feature-rich products are designed with practicality, reliability and a commitment to their customers in mind. In industries varying from hospitality and restaurant environments to healthcare and small manufacturing organizations, Citizenâ€™s array of thermal, impact and barcode label printers (including new blue-tooth enabled mobile printers) perform optimally even in busy, hot or cramped environments. 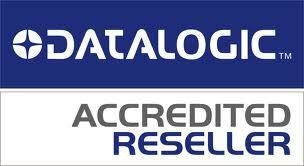 Datalogic is the third largest world producer and leader in Europe for bar code readers, data collection mobile computers, and RFID systems. Datalogic offers outstanding and innovative business solutions in numerous markets, including retail, manufacturing, transport and logistics. Dynapos is one of the fastest-growing brands in the POS industry, a manufacturer of POS equipment that designs and produces high quality products at very competitive pricing, your best value. Dynapos' reputation has been built with years in the POS market and thousands of units sold. Dynapos offers an extensive line of POS terminals and peripherals that will suit your specific customer needs. Elo TouchSystems, the global leader in touch technology, develops, manufactures and markets a complete line of touch screen and touch monitor products. Elo offers the largest selection of touchscreen technologies, CRT touch monitors, and LCD touch monitors and carefully designs each product for the demanding requirements of diverse applications, such as industrial, medical, POS, kiosks, retail, hospitality, transportation, office automation, and gaming. Elo touchscreens make advanced computer technologies accessible to all users. Epson is one of the leading suppliers of advanced POS technology solutions and services for a wide range of industries including retail, banking, hospitality and supermarkets. The Epson System Device Group, a division of Epson America, Inc., is responsible for the sales, marketing, distribution, service and support throughout the US, Canada and Latin America. Epson America, Inc. is the US affiliate of Japan-based Seiko Epson Corporation, a global manufacturer and supplier of high-quality technology products. 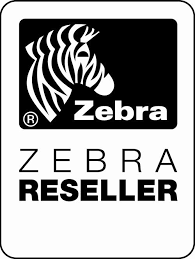 FineLine has a comprehensive program to serve all of your barcoding needs. If you are currently printing your own tickets, FineLine's In-House Solutions can provide you with everything from barcode generation software to blank media supplies. Finelineâ€™s Outsource Solutions serve companies who want to generate high quality film masters and e-Codes or to print their barcode tickets, barcode labels and hang tags. And Finelineâ€™s BarCode Printing and Service Bureau can help you save time and money by eliminating inventory, equipment and costly overhead. Honeywell is a worldwide leading manufacturer of data collection and management solutions for in-premise, mobile, and transaction processing applications. Through its exclusive AdaptusÂ® Imaging Technology platform, Honeywell delivers product solutions that improve productivity, lower costs, and enhance customer service. With more than 30 years of point-of-sale (POS) market leadership, IBM and its network of IBM Business Partners provide retailers of all sizes store solutions that can help increase sales and reduce costs. ICVERIFY, Inc. is a leading provider of payment software for merchants of all types. Products allow you to accept and process payments using credit cards, debit cards, checks, purchasing cards, stored value/gift cards and private label cards, while leveraging your existing investment in personal computer (PC) or electronic cash register (ECR) equipment. ID TECH designs and manufactures a wide range of Automatic Identification Products & components, which include MagStripe, Smart & Contactless Card Reader/Writers, Bar Code readers, CCD scanners, POS Keyboards, and Secure PIN Entry products. ID TECH supports its customers with standard products and custom solutions for the Point of Sale, Hospitality, Access Control, Transportation, Gaming, and Kiosk Industries. Products provide practical, economical solutions to customers needs. Intermec designs and builds the automated data capture industryâ€™s most complete lineup of rugged, reliable and versatile equipment. Use Gen2 RFID, bar code systems, rugged computers or a Cisco WLAN infrastructure to create a total solution that harmonizes with your networks, platforms and processes. Whether itâ€™s fast food restaurant receipts, kitchen tickets, or kiosk printouts, the Hospitality, Retail & POS environments offer unique printing challenges. Thatâ€™s why Ithaca POS Printers are designed with distinct critical requirements specific to those industries. These custom-designed features enable Ithaca POS printers to perform with the highest reliability and quality standards necessary for customer relations. Ithaca POS Printers printers have been specifically designed to withstand demanding environments in any difficult printing situation. This stellar reputation has helped Ithaca POS Printers become the printer-of-choice for key players in the Hospitality, Retail & POS industries. Kreateck International Corp. is a leading software manufacturer with more than 18 years of experience dedicated to deliver a wide range of cost effective quality software, and business solutions for a multitude of industries. Our goal is to keep in step with the industry's trends by updating our portfolio to include the most innovative developments in the business. KreaPOS is Kreateckâ€™s powerful and innovative point of sale system. Our solution can help your business optimize and organize its many functions, from sales to inventory management. At Kreateck we assure you will be receiving an excellent system, and we also we work very hard to provide you with the best service possible after you purchase our products. LOGIC CONTROLS, INC. is a manufacturer of best-of-breed hardware for PC-based point-of-sale (POS) peripherals, kitchen display systems, and industrial computers. Drawing on 20 years of expertise in hardware design and manufacturing, Logic Controls' products are known in the market for their reliability, advanced functionality and value. MagTek is a world leader in electronic transaction technology, from magnetic stripe card readers and writers to high-accuracy MICR check readers and scanners, as well as secure PIN issuance and cardholder verification systems. MagTekâ€™s products and components are in use today in thousands of companies around the world, incorporated into kiosks and ATMs, banking customer service terminals, custom retail POS terminals, and restaurant and hospitality equipment. Metrologic is now a part of Honeywell! Honeywell is a worldwide leading manufacturer of data collection and management solutions for in-premise, mobile, and transaction processing applications. Through its exclusive AdaptusÂ® Imaging Technology platform, Honeywell delivers product solutions that improve productivity, lower costs, and enhance customer service. Microsoft Dynamics Retail Management System (RMS) offers small and mid-market retailers a complete point-of-sale (POS) solution that can be adapted to meet unique retail requirements. This powerful software package automates POS processes and store operations, provides centralized control for multi-store retailers, and integrates with Microsoft Office system programs, Microsoft Dynamics GP, and other popular applications. Microsoft Dynamics RMS is built on a proven Microsoft platform that adapts to meet unique and changing retail needs. 3M Touch Systems was created in 2001, after 3M acquired two established touchscreen companies, Dynapro Systems and MicroTouch Systems. 3M Touch Systems is a business group of the Optical Systems Division of 3M and consists of three business groups: Touch Screen Sensors, Touch Monitors, and Specialty Sensor Products. Primary touch markets include Gaming/entertainment, point-of-sale (POS), point-of-information (POI), self-service kiosks, financial, portable, handheld, and consumer products. MMF Cash Drawer is the leading supplier of cash drawers and accessories to POS/Retail distributors and many OEM manufacturers in North America. MMF Cash Drawer also provides â€œcustom designsâ€� to OEMâ€™s requiring cash drawers, enclosures, and/or platforms that meet specific system configuration requirements. 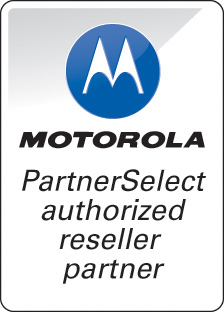 Motorola is a global communications leader, powered by, and driving, seamless mobility. And with the acquisition of Symbol Technologies, Motorola now offers Bar Code Scanners, Micro Kiosksâ„¢, Mobile Computers, Mobility Software, OEM Products, Payment Systems, RFID, Voice Optimized Products, and Wireless Infrastructure. Motorola is revolutionizing broadband, embedded systems and wireless networks - bringing cutting-edge technologies into your everyday life, with style. Transform transactions into relationships with NCRâ€™s retail systems, ATMs, Teradata data warehouses and IT services. Use information more effectively and dynamically to make smarter business decisions faster. With today's demanding applications, you need a reliable partner who can offer products with consistent quality and service. Pioneer POS designs and manufactures state-of-the-art touchscreen systems with longer shelf-life. Pioneer POS's products have been deployed into industries like restaurant, bar, hotel, airport, retail store, casino, labor management, manufacturing floor, hospital, nursing home, kiosk, and many other demanding applications. The Preh consortium, with 85 years of experience, is active throughout the world. Preh partners with renowned automobile manufacturers and industrial clients. Product fields include driver control systems, sensors, assembly technology, electronic operating systems, and keyboards and touch screens. Star Micronicsâ€™ experience and understanding of market trends has led to a broad range of innovative receipt printers and POS printers developed with one key objectiveâ€”provide an easy integration into existing POS software and systems, resulting in the ultimate customer experience across markets. Star offers a full line of thermal, impact (dot matrix), multi-function and kiosk printers or mechanisms that service an array of different industries and vertical applications. From fine dining to fast food establishments, toll collection to gaming, retail to banking, hospitality to barcode labeling, and now, the medical and pharmacy industries - Star Micronics can provide the printer for your new or existing application and budget. TPG is dedicated to delivering specialized hardware and software solutions. TPG's printers, mechanisms, and software can be found in many applications such as Retail/POS, Self-Service, Banking, Hospitality, and Gaming/Lottery markets. With highly experienced professionals and state-of-the-art manufacturing facilities, TPG continues to provide innovations and industry firsts to its wide array of customers. For the past twenty years, Unitech has been focusing on automatic data collection products and services to enhance productivity and efficiency. Unitech manufactures a full range of AIDC products, including mobile computers, fixed mount computers, bar code scanners, POS keyboards, and MSR readers and encoders. VeriFone is a global leader in secure electronic payment technologies. We provide solutions, services, and expertise that enable electronic payment transactions and value-added services at the point of sale. Our devices and systems process a broad spectrum of payment types including signature and PIN-based debit cards, credit cards, EMV smart cards, contactless, value-added applications, and signature capture. Our solutions incorporate existing and emerging technologies, comply with the latest global security standards, and take advantage of the latest connectivity options from GPRS, CDMA, and Wi-Fi to IP and Bluetooth-enabled devices.